Presidents Dmitry Medvedev and Juan Evo Morales have agreed to sign a Russia-Bolivia energy cooperation agreement in the near future. In a joint statement by the presidents it is stated that “the agreement will stipulate the funding of energy projects, the exchange of information, the transfer of technologies, the training of personnel and the support of energy companies – both public and state-owned”. Bolivia is also preparing to buy a large number of Russian helicopters within the framework of mutual military technical cooperation. “We do hope that very soon we shall be able to start implementing the first major project supplying Bolivia with Russian helicopters. The list of these products will be extended, and we are prepared to carry out these negotiations in the future,” Medvedev said. President Medvedev particularly underlined that Russia is ready to train Bolivian specialists of various professions as Russia did previously during the Soviet era. Russia and Bolivia have agreed to coordinate their moves in the international arena, including fighting illicit drugs and developing common approaches to global climate change. This is the first visit of a Bolivian leader to Russia over the last 50 years. Vladimir Tapia, a well-known surgeon, moved from Bolivia to Russia decades ago. He justified his move not only because his father gave him a Russian name, but because his home country had a lot in common with the Soviet Union. But then life in Bolivia dramatically worsened and, Vladimir says, returned to normal only some three years ago – when Evo Morales came to power. Tapia isn’t a big fan of the president, but acknowledges the changes he has brought. “He doesn’t have a higher education. He may not have known a lot about politics. But when he came to power, he didn’t begin stealing money. Morales brought change,” said Tapia. “Before Evo Morales came to power, Americans had been openly robbing our country. Stripping it of everything valuable. The previous pro-American president, Goni, was selling my country away bit by bit,” he added. From rags to the highest echelons of power, Evo Morales rose from the poorest layers of society to lead Bolivia’s socialist party and become the country’s first-ever indigenous president. His extravagant style and fiery speeches resulted in his receiving over 53 percent of the votes in 2005 elections. Bolivia felt the change almost immediately as Morales invested a lot in supporting the poor. But the most radical policy shift was in the international arena. Relations between Washington and La Paz rapidly deteriorated. Evo is known as a fan of the coca plant – the one that is used for production of cocaine and is illegal in the US. But the leader stresses that it is harmless and hits out at Washington’s attempts to destroy coca plantations in his country. Evo used the UN General Assembly as a rostrum to voice his indignation. His speech may not have been as flamboyant as Venezuelan president Hugo Chavez' comparison of George W. Bush with the devil, but the two leaders, and friends, belong to a distinct club of Latin American leaders – critics of the US. And it doesn’t seem to get any better. Recently the coca conflict escalated into a more serious strain in ties between Bolivia the US. 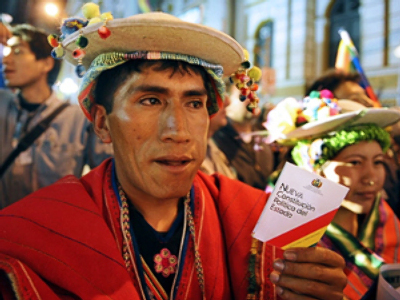 “Last year the US-Bolivia relations hit a critical level. The US ambassador was expelled after he was accused of planning a coup-de-tat against Morales. Also, the operations of the US Drug Enforcement Agency were suspended in the country,” said political expert Maria Kusakina. And it is not the only thing that Morales, Venezuela’s Hugo Chavez and Cuba’s Fidel Castro have in common. Another one is close ties with Russia. While Chavez is more enthusiastic about purchasing Russian military goods from Moscow, it is Russia’s helping hand in the energy sector that is more important for Morales. “Bolivia has Latin America’s second largest reserves of natural gas, next to Venezuela. 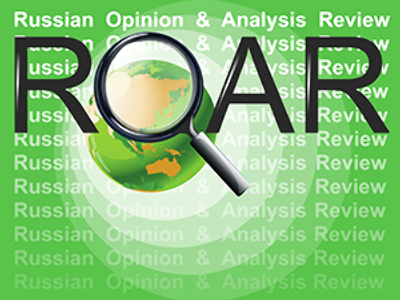 The country needs Russian specialists, Russia’s experience in gas research and transportation. In return, Russia could receive lucrative contracts building gas pipelines which would connect many countries in the region,” said Vladimir Davydov from the Institute of Latin America, Russian Academy of Sciences. Morales’ visit to Moscow comes after Russian president Medvedev’s Latin America tour. The Bolivian leader is expected to sign several important energy agreements in Moscow. But the Bolivian with a Russian name, Vladimir Tapia, says he’s happy to see that even though his homeland and his country of residence are more than ten thousand kilometers away from each other, they are very close on how they see the modern world.